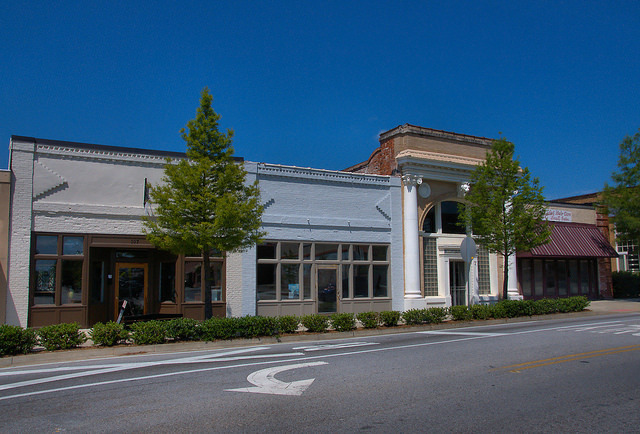 Located on Main Street, these nicely restored storefronts are a great example of local interest and investment in historic preservation. I believe the tallest building was a bank. 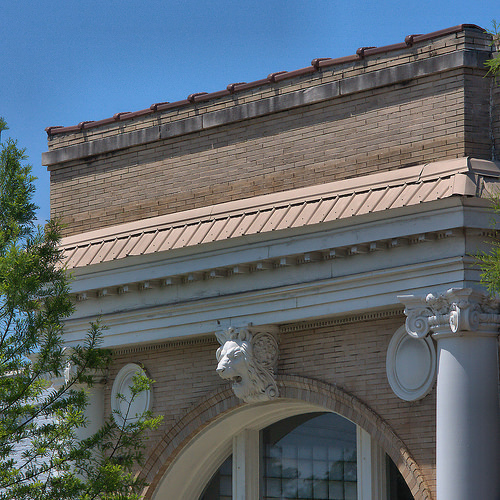 The lion head ornament, the bank’s nicest decorative feature, is pictured below.